FUAM post UTME form is out — The management of the Federal University of Agriculture, Makurdi (FUAM) is now selling the post UTME screening exercise application form for the 2018/2019 academic session. 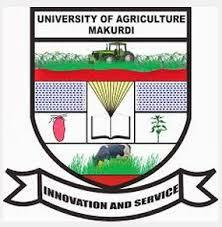 The Federal University of Agriculture, Makurdi hereby announces to the general public, especially its prospective students, that it has commenced the sale of forms for its First Degree Programmes for the 2018/2019 academic session. Please What do i use as my pin for the screening? i have made the payment but can’t find any pin/password to continue….. I had paid,but still I entered the s pin several times but ,it incorrect why,pls I need your help. Comment Text*I entered my details but I always get this message “incorrect details” what am I to do? Unable to identify student..Student data does not exist…This has been my respond sir..What next should i do…You directed us to call these number 08111753334, 08186570255 for an assistance but the two number has been switch off..Thanks i need your positive reply quick.